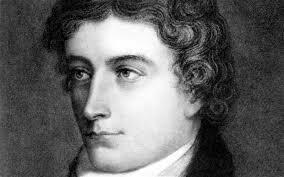 The Romantic Era of English poetry was a time of change and novelty and John Keats was a pioneer poet of this time. 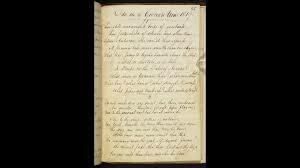 He is particularly famous for his series of odes, out of which Ode on a Grecian Urn was written in 1819. In 1820, it was published in Annals of Fine Arts Magazine anonymously. It received a positive response from readers as well as critics and made the ode form of poetry very popular, something that Keats felt was capturing the essence of his ideas with perfection. In the poem, Keats is addressing an ancient urn that is decorated with human and animal figures of Grecian art and holds the ashes of someone from those times. Due to this, the speaker refers to it as a piece of history in the first lines. He points out that the urn is holding on to history very silently. Further, he moves on to discuss the figures on the urn and tries to derive what they represent. He begins with the flowers and leaves on the urn when his attention is caught by the picture of a group of men. He wonders what are these men pursuing and thinks about the various musical instruments that they hold. The next stanza begins with the same line of thought and the speaker ponders about the sounds of these instruments. He claims that the melodies that are not heard are sometimes sweeter than the ones that people can hear. This idea takes him to another image in which a man is playing a pipe for his lover who lays under the trees. He says that the lovers are frozen in time. This is why they cannot kiss each other, but this is also the reason why the beauty of their love is going to last forever. He moves on to admire the trees in the third stanza and says that these trees are blessed with spring forever and do not have to shed their leaves. The song of the piper who lays in the shadow of these trees will also never fade away and it will stay new like his love. Their love is full of passion and it will always remain the same, unlike the love of mortal humans that dies with their passion and leaves pain and discomfort. The speaker then focuses on another group of men who seem like they are going somewhere. He wonders what these people are sacrificing and what priest or religion they follow? He says that the cities that they live in are not left with any citizens and are silent for eternity now. Just like them, all the other things on the urn are lost and can never return. Finally, the speaker addresses the urn itself and accepts the fact that the silent shapes on the urn tease him because one day he and the other people living with him will become history. Yet, the urn will remain. He feels that just like an eternity, the urn is also teasing him about this fact that at some other time, some other man will look at the urn and think about his troubles. The urn will preach something very important to generations after him and tell them that beauty is the only truth and truth is beauty- the only fact that they need to know. The poem has been written in a contemplative and philosophical mood. It raises a number of important questions about the nature of life and time. Through this poem, Keats points out that time is something that will always remain ahead of us. As mortal humans, everything that we see around us will come to an end. He looks at the urn and thinks about the long journey of time that it has covered. 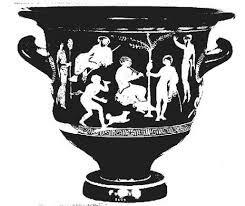 The urn was made in Greece many years back and has been passed on from one generation to another to reach him. This will go on and people will continue to die, passing the urn to further generations. This paradox makes him question his own mortality. He looks at the various scenes and figures drawn on the urn and describes that even though they will never be able to reach their destination, they are still frozen in a beautiful movement and will continue to be there in the same manner, while people around the urn will experience many problems and troubles of different kinds. What does Keats say about Truth and Beauty? The last two lines that hold, probably, the moral of the poem, have continued to be ambivalent in terms of their meaning and critics have tried to interpret them in a number of ways. The quotation marks create doubt about who the speaker is and what does he or it wants to say to the listener. However, it has been accepted that the lines refer to the question of mortality and affects the thought process of the speaker in a way that he drops his line of questioning and accepts his mortal nature as a human.